This is the second part of the story of how the sugar industry has affected America’s health for the last 50 years. The industry’s trade group, The Sugar Research Foundation, has worked hard behind the scenes to cover up the dangerous effects of refined sugar in the American diet. In part one, we looked at how they worked with major health publications to cover up the link between sugar consumption and heart disease, now we will look at the danger of certain cancers caused by sugar consumption. The study which was funded by the sugar industry was called Project 259. 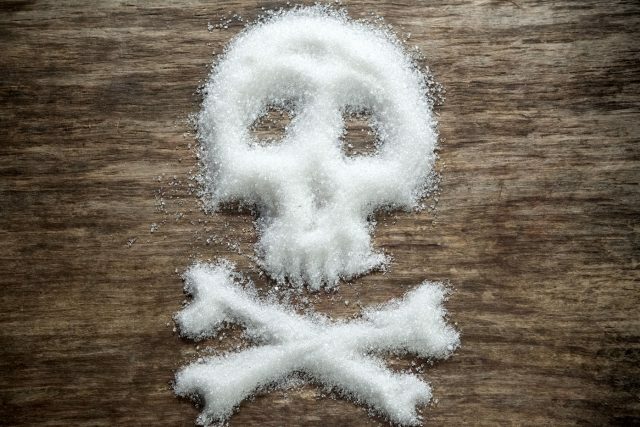 It found a strong correlation between high sugar consumption and bladder cancer in rats. Scientists at the University of California at San Francisco uncovered the evidence that the industry stopped the study as soon as the preliminary data showed the cancer link. The sugar industry has always hidden behind the rhetoric that there is “no scientific consensus that sugar is harmful to health.” But when they suppress the data that shows it is, no wonder there is no consensus. 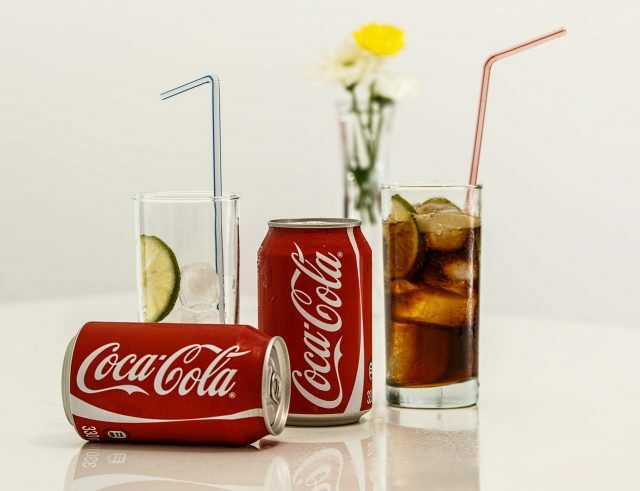 Project 259, which the Sugar Industry hoped would show high sugar consumption would be safer than artificial sweeteners, was surprised when it turned out that the high sugar consumption was negatively affecting the rats’ gut biome. The increase in the rats’ triglyceride levels put them at risk for blood clots, but then the scientists noticed a spike in enzymes which lead to bladder cancer. When this was reported in August of 1970, the scientist requested 12 more weeks of funding to continue the study, but the Vice President concluded that the results of the study where “nil” and denied the funding request. They did not want the public to know that sugar was much more harmful to the human body than any other starch or carbohydrate. Public health officials were often being funded by major industries. The tobacco industry famously spent millions trying to influence scientists and public health experts to downplay the risks of smoking. While neither Big Sugar nor the tobacco industry ever said their products were healthy, they always maintained that using them in moderation didn’t significantly affect health. 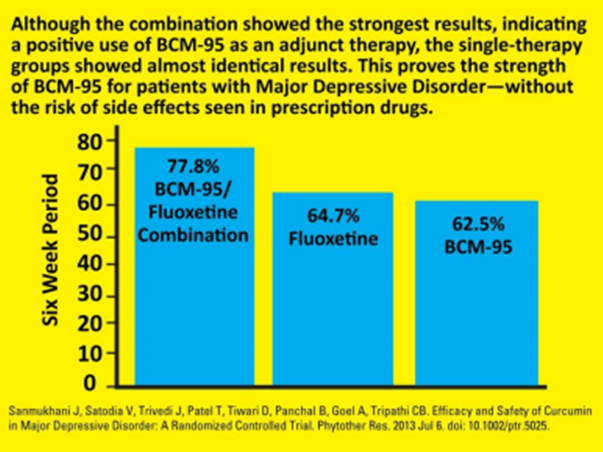 All this was said while they were hoping more people would use their products thinking there were no negative effects. But with all the negative science being suppressed it is no wonder that people really had no idea the damage two or three cans of soda was actually doing to themselves or their kids. The sugar industry was able to influence Harvard researchers to make this case for them, and state it in the Journal of the American Medical Association. This, unfortunately, casts real doubt on the state of science reporting not only in the media but also our most important medical journals. This is part one of a two-part story on how the sugar industry has affected America’s health in the last 50 years. We are approaching the 50th anniversary of one of the biggest cons in medicine. The Journal of the American Medical Association documented how the sugar industry bought off scientists and public health officials to put the blame of America’s rising rate of heart disease on fat and not sugar. And to make it worse, in 1965 Big Sugar paid off America’s top medical journal, The New England Journal of Medicine to discount the link between sugar and blood lipid levels, hence making it blameless in heart disease. This is not a big secret; The Journal of the American Medical Association reported this revelation in November 2016. Today nearly every major medical organization has backed down on the pass they used to give sugar as a cause of heart disease. But they don’t make as big a deal about it as they do with their continued vilification of dietary fat as a cause. This is actually crucial because America’s diet was remarkably changed based on this. The push for high grain, low fat actually preceded America’s obesity epidemic. People forget what the world was like back in the 1950s and ‘60s. Americans ate less sugar, enjoyed more saturated fat than now, but only ate 3 meals a day if that many. There were no bagels at breakfast meetings, and certainly no fruit. Dr. Ancel Key’s worked hard to discount any link to anything that was not saturated fat as a cause of heart disease. And in the late 1950s Americans were getting scared of heart attacks. President Eisenhower suffered a heart attack while in office and his doctor was one of America’s premier cardiac surgeons and he blamed fat. This was before the Surgeon General’s report on smoking, and nearly half of American adults smoked. There seemed to be a perfect storm. Processed sugar was being pushed in cereals and breakfast foods, fewer people were eating filling meals with dietary fats and many people were smoking. As expected, as people stopped smoking the rate of fatal heart attacks started to decrease, and there were also many breakthroughs in the treatment of coronary disease (for instance the first commercial pacemaker was introduced in 1965). As a result, deaths by heart attack dropped and Keys saw this as vindication that his theory was correct. But sugar and carbohydrate consumption continued to climb. Cheaper corn syrup began to put more sucrose in the American diet. So, while death from coronaries dropped in the US, the number of people with heart disease continued to climb, as well as Type II diabetes and obesity. They then surprised research in England that showed a link between sucrose and certain cancers. This revelation was disclosed in 2017 which will be discussed in part 2. Traveling can be an exciting adventure … that is until you get sick. Are you one of those people who always seems to catch a bug while traveling no matter what you do? 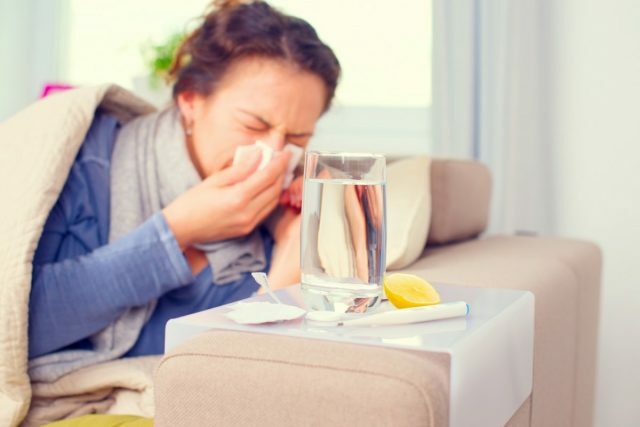 If you are, you’re not alone, and studies show long-distance flights greatly increase your chance of becoming ill.
Wow! That’s a lot of stuff. So is it possible to avoid getting sick while traveling? 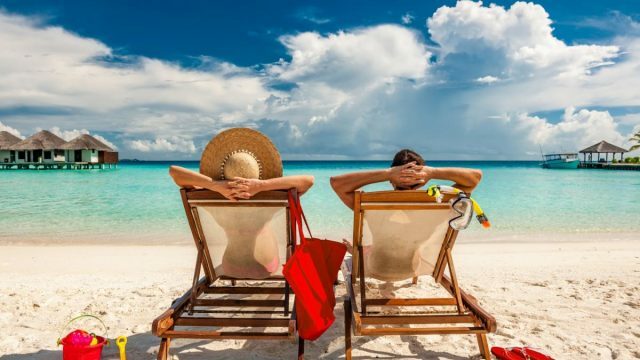 While nothing is guaranteed, there are certain things you can do which can help you keep your health so you can actually enjoy your vacation. Check out our top tips to stay healthy while traveling. Traveling can wreak havoc on your immune system. Missed or delayed flights can bring on a lot of stress – and don’t forget getting groped by the TSA. The stress of traveling coupled with the actual hotbed of germs lurking on the airplane is a recipe for disaster. Which is why making sure you are loaded on the right vitamins and supplements is key. Ideally, you should already have a strong vitamin routine in place, but if not start taking them at least a week before you travel. And no, we don’t mean get the flu shot. Instead, load up on immune boosting vitamins, minerals, and supplements like Vitamin C, Zinc, and elderberry syrup. And don’t forget to add Echinacea to the list which studies show is an effective proactive medicine to help stop you from developing respiratory issues you can pick up while traveling. So you made it past the TSA and on the plane – congrats. But now the real danger begins. As you get ready to lower your tray – you don’t know what happened the flight before. Maybe the person on the previous flight hacked all over it, or a mother changed her baby right where you are about to eat or open up your laptop. Make sure you carry spray sanitizer and spray it down before doing anything else. While you’re at it spray your seatbelt buckle and armrests too. We’re not saying be a weirdo about it, just give it a quick spray. And once you land, don’t forget to spray your luggage. Aquaint sanitizer did some research on just how much bacteria looms on your luggage and the results were shocking. The source of much of the bacteria is our own suitcases. 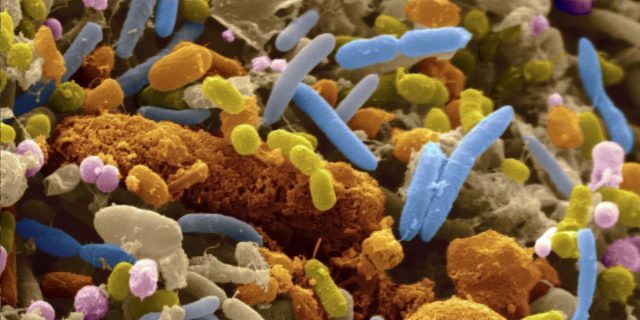 The study, which looked into how dirty airline travel can be, found that planes are absolutely teeming with bacteria, which can cause a whole host of illnesses. Your luggage can come into contact with up to 80 million bacteria before you even set it down in your hotel room. This is largely to do with the number of people and places it comes into contact with on its journey — an average of two baggage handlers, a member of the airline crew, two cabdrivers, etc. The hands of each person could carry approximately 10 million bacteria at any one time”. Germs are everywhere while traveling, but carrying around a simple spray sanitizer helps you beat the odds a little bit. While we’re at it, don’t even think about cozying up with the customary airplane blanket and pillow. Do you actually think they wash those things in between flights? Many airline attendants have admitted they don’t. So that pillow you just used to rest your head was the same pillow used by the sick guy who just coughed and hacked a lung on his pillow the last flight. MSN even reported a story where one unfortunate traveler found feces in her blanket. Don’t think it couldn’t happen to you too. Instead, bring your own travel pillow and blanket and pass on the “free” pillow and blanket offer. Freedom Health News previously reported on just how important water is for your health. While traveling, this is even truer! You’ll be sitting for hours in stale dry air on a plane and it is critical you keep your sinus cavities hydrated! Purchase a bottle or two of water and bring them with you on the plane. But even when you’re off the plane make sure to stay hydrated while on your trip! Dehydration leads to a whole host of health problems like fatigue and headaches. If you’re traveling overseas to a third world country, make sure to only drink bottled water – the last thing you want to do is drink the local water and end up with traveler’s diarrhea. In fact, the Mayo Clinic even suggests brushing your teeth with bottled water and avoiding ice cubes while traveling in high-risk areas. Try our tips above to avoid getting sick while traveling. The last thing you want to do is spend your vacation in a hotel bed instead of on the beach enjoying the sunshine. Have you ever gotten sick while traveling? What do you find is the most difficult part about staying healthy while traveling? Tell us your thoughts in the comments below and be sure to share this article with your friends and family to let them know how to stay healthy while traveling! Experts report the average household is estimated to contain approximately 62 chemicals. You might not care at first, except research shows many of these chemicals are causing everything from obesity to asthma. In fact, some of these toxic beasts could be the cause of your chronic headaches and can even disrupt your reproductive system! But where are these hidden killers? Lurking under your kitchen sink or even in your pantry contains seemingly innocent household products which are loaded with chemicals. Business Insider spoke with Dr. Trasande who is an expert in children’s environmental health, about the dangerous chemicals lurking within our homes. In simple terms – our household products can be toxic. And to help you figure out what to keep and what to toss, we’ve given you some of the most known carriers of these harmful chemicals. Each time you light a scented candle, you are essentially emitting toxins in the air, and then breathing them in. Take a look at the back of your candle – chances are you can’t even pronounce the chemicals you are lighting, but you might recognize the word “fragrance”. This term is a propriety word that companies use to hide their trade secrets, but this lack of transparency means you have no idea what you are inhaling each time you light that candle. “EWG found that about 75 percent of products that list fragrance contain the hormone disrupting chemical, phthalates. Phthalates, used to make fragrances last longer, have been linked to many hazardous health conditions, such as reduced sperm count, liver and breast cancers, reproductive malformation and diabetes”. CDC studies admitted phthalates have caused reproductive issues in lab rats. If you’re waking up with headaches and clogged sinuses in the morning – check the fragrance level in your own home. As if fragrance and phthalates weren’t enough, there’s more bad news. “An EPA study found that potentially hazardous chemicals are commonly used in synthetically scented candles, including acetone, toluene, benzene and others. These chemicals can cause headache, asthma, dizziness, nausea, fatigue and drowsiness and can cause damage to the brain, lung and central nervous system”. But don’t worry, you can still make your home smell good! Instead of lighting toxic candles and inhaling their deadly fumes, stick to an essential oil diffuser. After all, why settle for counterfeit “peppermint” when you can breathe in the real deal? So you like to keep a clean house. But have you ever stopped to look at what products you are using to clean your home? The toxic chemicals that make up cleaning products can not only burn your skin and eyes if touched, but they can lead to a whole other host of health problems, including cancer. Some cleaning products even have over 60 ingredients! And these ingredients can be deadly. “Many cleaning supplies or household products can irritate the eyes or throat, or cause headaches and other health problems, including cancer. Some products release dangerous chemicals, including volatile organic compounds (VOCs). Other harmful ingredients include ammonia and bleach. Even natural fragrances such as citrus can react to produce dangerous pollutants indoors. Instead of cleaning with these known killers, consider switching to natural cleaning products. You can even make your own with vinegar, water, and a few drops of your favorite essential oil. Hopefully, by now you’ve switched your plastic Tupperware containers to glass and stopped using plastic altogether. Many plastic containers contain the chemical Bisphenol A otherwise known as BPA. This chemical can also be located inside aluminum cans and water bottles and can cause a whole host of problems to the body. If you insist on plastic, make sure it’s BPA free. And never put plastic in the microwave. Also, check your coffee machine – much of the plastic components, you guessed it, could contain BPA. If you’re looking for more information on BPA, check out our recent report on how harmful this chemical is to the body. Once you make the switch from toxic to natural, you’re making an investment into your health and helping to protect your family. We commend you for taking steps to eat organic food and eliminate the processed junk. And props to you for caring about your body by drinking enough water and finding the time to work out and stay healthy. But if you don’t tackle the toxic wasteland within your own home, you’ve only addressed a portion of the problem. Start with these simple switches listed above, and you’re on your way to a reduced daily chemical exposure! Were you surprised to learn about the dangerous products hidden in your household? What are some practical steps you can take today to make the switch? Tell us your thoughts in the comments below and be sure to share this article with your friends and family to let them know about these household killers! The British medical journal, The Lancet, has unveiled what may be the biggest health crisis facing the world…a suboptimal diet. The study which attempted to quantify the impact of sugar, lack of vegetables, processed meat and fruit consumption to long term diseases. The problem with this type of study is it doesn’t really prove anything. All it can show is a correlation. For instance, the people in this country eat three grams of salt per day, and this many people have high blood pressure. But this doesn’t prove the salt caused the increase in blood pressure. 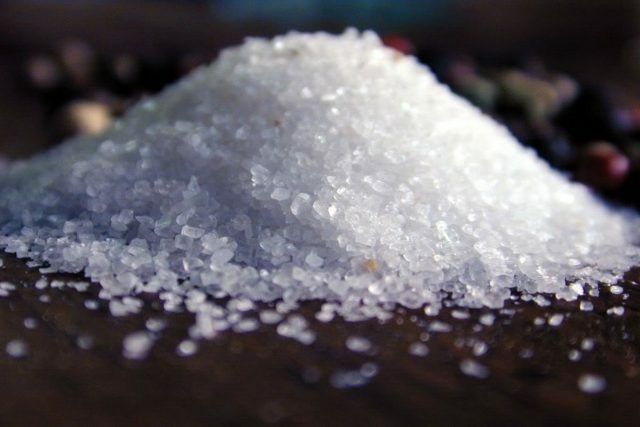 In this article in Freedom Health News, we explored the biggest study on salt and risk of death. It turns out that people who eat more salt than the Lancet article thought was healthy live longer. For instance, the Maasai are a pastoralist tribe living in Kenya and Northern Tanzania. Their traditional diet consists almost entirely of milk, meat, and blood. Two-thirds of their calories come from fat, and they consume 600 – 2000 mg of cholesterol a day. To put that number in perspective, the American Heart Association recommends consuming under 300 mg of cholesterol a day. In spite of a high fat, high cholesterol diet, the Maasai have low rates of diseases typically associated with such diets. George Mann first noted this in 1962 and subsequent studies have confirmed this apparent contradiction between objective reality and the American Heart Association’s theory of what constitutes a healthy diet. Scientists went as far as to theorize that there was something genetically different with the Maasai, but they were compared to a neighboring tribe which ate vegetables and bread and they shared the same genes. But the agricultural tribe had heart disease that was unknown in the Maasai. The other problem with the study is it doesn’t account for other groups like the Inuit people (commonly known as Eskimos). They don’t have access to fruit and vegetables yet have no known disease risks. “The large study size means these findings are relevant to everyone, no matter where they live, said Andrew Reynolds, a postdoctoral research fellow at the University of Otago in New Zealand, who was not involved in the study. Which means that what is considered “healthy” by mainstream scientists will probably be forced on everyone again. This will affect what you can eat at all government funded institutions which serve food including public schools. When you look past the press releases and ask serious questions most of these studies just don’t stand up to objective facts. After a long day of hard work all you want to do is go to sleep. So you go through your nighttime routine and even make it a point to get to bed 15 minutes early… but 4 hours later you are still tossing and turning. And yet again, insomnia rears its ugly head. If you struggle with insomnia, you are not alone. The National Institute of Health estimates nearly 30% of Americans struggle with a sleep disorder. And while doctors are quick to shove sleep medication into the hands of an already drugged out nation, there may be another way. If you’re having trouble sleeping check out our tips before you reach for that bottle. You might be one of those people laying in bed trying to fall asleep… and scrolling through your social media feeds or checking your email at the same time. Perhaps you think mindless Facebook scrolling is a way to “wind down” after a long day of work. But what you may not know is just how harmful that little blue light is for your body while you are trying to sleep! In fact, research shows viewing screens messes up your entire circadian clock and can cause insomnia in a big way. “Recent studies have shown that short-wavelength [blue] light has a greater effect on phase shifting the circadian clock and on melatonin suppression. In 2014 my colleagues and I examined the effects of reading on a light-emitting device compared with reading a printed book. Participants who read on light-emitting devices took longer to fall asleep, had less REM sleep [the phase when we dream] and had higher alertness before bedtime [than those people who read printed books]. If you struggle with insomnia (and are addicted to your phone) set your alarm and put your phone in airplane mode and place it across the room so you won’t be tempted to check your phone. And if you have a TV in your room – move it out to another area. Looking to unwind before bed? Try reading a book instead. You might not realize just how much caffeine can seriously mess up your coveted Zzzs. Americans are addicted to caffeine and we pound back the stuff like its water. But maybe you aren’t a huge coffee drinker but after work, you went to grab coffee with a friend at 6 pm… and 4 hours later the caffeine is still running through your system and you can’t sleep. Or perhaps you’re working on a project or proposal and are used to drinking coffee to give you that “extra push”. The Journal of Clinical Sleep Medicine (JCSM) did a study with folks taking caffeine 0, 3, and 6 hours before bedtime and their conclusion showed folks who had caffeine even at 6 hours suffered sleep disturbances. “The magnitude of reduction in total sleep time suggests that caffeine taken 6 hours before bedtime has important disruptive effects on sleep and provides empirical support for sleep hygiene recommendations to refrain from substantial caffeine use for a minimum of 6 hours prior to bedtime”, reported JCSM. Caffeine is a stimulant… and its goal (you guessed it) is to stimulate your body. So skip the soda and caffeine at least 7 hours before bed. One cup of joe in the evening isn’t worth keeping your body up and unable to sleep throughout the night. As you ease into your nighttime routine, make sure you are winding down, not winding up. Right before bed is not the time you want to have a stressful conversation. And hopefully, throughout the day you are practicing self-care like eating healthy and working out. But remember, not all insomnia is caused by stress. Take a step back and look at your current life situation and see if an event could be the cause. Perhaps a relational breakup or death in the family is leaving you stressed. Or even something more subtle like an overpacked schedule. Learning your stress “triggers” can do wonders in getting your mind back on track. Also, try keeping a notepad by your bed – so if a random thought comes to your mind during the night you can write it down… and go back to sleep! If you’re looking for more ways to beat stress, check out our previous tips here. Insomnia can make you a zombie during the day and rob you of your energy. It can cause a whole host of medical problems too like aching joints and headaches. There isn’t one single cause for insomnia, so consider trying our tips above to get better sleep. The last thing you want to do is reach for a bottle of sleeping pills and become addicted to a synthetic substance just so you can sleep. Try beating insomnia the natural way first, but should it persist you may have a sleep disorder and you may need to see a doctor. WebMD recommends seeing a doctor if you are falling asleep while you’re driving or if your performance at school or work is seriously suffering. As Freedom Health News previously reported, you should be getting 7-9 hours of sleep each night, on average. But don’t get discouraged! Insomnia can be a hard beast to tackle but victory is possible. Have you ever suffered from insomnia? 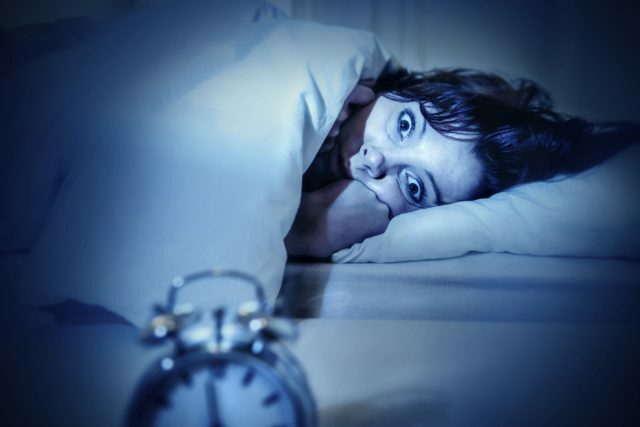 What do you think is the root of your insomnia? Tell us your thoughts in the comments below and be sure to share this article with your friends and family to let them know how to tackle insomnia for good! Reusing cooking oil is something many restaurants, as well as many home cooks, do. For instance, fry machines keep the same cooking oil in a station for entire work shifts. In that time hundreds of different food items are fried in the same cooking oil. This common practice might save money, but there are reports indicating it could lead to accelerated breast cancer growth. 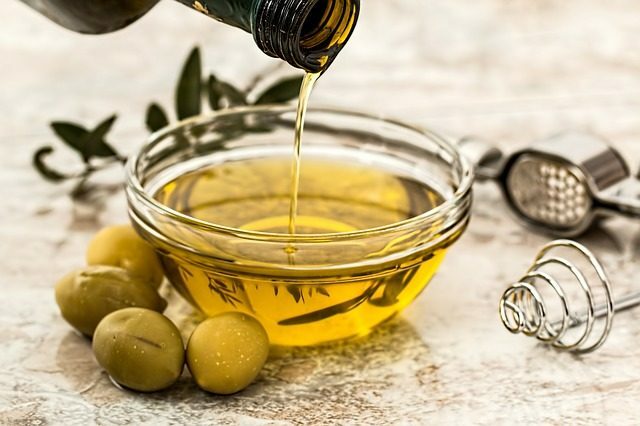 In this study, researchers at the University of Illinois tested to see how “thermally abused” cooking oil might assist in out of control growth of cancer cells. To discover just how reheating cooking oil over and over again might affect cancer growth the team injected 4T1 breast cancer cells into mice they planned to feed reheated cooking oil. They injected the mice with these breast cancer cells because they’re known to be quite aggressive and are also shown to metastasis to multiple distant sites. This is why they’re commonly found in the liver, lungs, and lymph nodes. Once injected, all the mice were given a diet of low-fat food for a week. After the week of eating the low-fat diet the mice were split into two groups. One group ate unheated fresh soybean oil for a period of 16 weeks, the other half of the group were made to eat thermally abused oil instead (the researchers used this kind of oil because it’s a commonly used to deep fry food in restaurants. 20 days after the mice were injected with the breast cancer cells the scientists decided to observe what happened to the mice who’d been on their different diets. The group who ate the reheated oil also displayed many more lung metastases than the group that didn’t. One of the researchers in the study, William G. Helferich, wrote in their study that this group has 200% more lung tumors. Not only did they have more tumors, but they were also more aggressive and invasive than those in the fresh-oil group. Why Is Reheated Oil Bad In the First Place? Even though the researchers aren’t exactly sure about the association between reheated oil and tumor growth, they theorize that when oil is heated up over and over it alters the composition of the cooking oil and causes acrolein to be released. Acrolein is a toxic and potentially carcinogenic chemical. This is disturbing because many restaurants reheat their cooking oils dozens of times a day before trading out for fresh oil. It affects nearly 1 out of every 6 Americans, yet very few people really know what it is. It used to be called Syndrome X until it was officially given the name Metabolic Syndrome. The American Heart Association says that nearly 47 million people have it, and it is a killer. It’s not really a disease in the classic sense, but a cluster of conditions. Abdominal fat, high blood pressure, and elevated blood sugars. Any one of these conditions are potentially dangerous, but in combination it spells disaster. It will ruin your blood vessels and arteries, lead to serious heart disease, and increase your risk of Type II diabetes by five times. Three or more of these puts you at very high risk. Insulin is the hormone released when we eat. Carbohydrates increase the amount of insulin in your system. It helps you use the glucose in your blood to be used for energy. At some point though, the body quits utilizing it effectively especially as fat starts to be stored around the belly. Especially processed carbohydrates which increase insulin. Increases the blood pressure and narrows the arteries. Your body releases insulin every time you eat so many small meals and snacking may make the problem worse. The good news is, yes you can stop it, but it is going to require lifestyle changes. This is just not one of those things that you can take a pill for. Some unconventional methods for taking care of this would be switching to a Ketogenic Diet and integrating fasting into your lifestyle. According to Dr. Eric Westman of Duke University, there is no other diet program that will reverse Metabolic Syndrome as well as ketogenic eating. Just getting rid of the carbs and eating high-fat foods will stop the insulin response and make you feel full longer which will tend to reduce meal frequency. More and more studies are showing a low carb diet will reduce the sugar levels, triglyceride levels and reduce weight. That will take you out of the high-risk group quickly. After becoming “fat adaptive” (the point where your body is using ketones and not glucose for your body’s energy), you might want to start missing meals, also known as intermittent fasting. Why would you want to skip meals? Well every time you eat, your body secretes insulin. So, by reducing the number of natural insulin infusions, you reduce inflammation, lower triglycerides, sugar levels and the other negative markers that put you at risk of Metabolic Syndrome. If you have been diagnosed with Metabolic Syndrome, think of it as a wake-up call. While you have time, think about changing your lifestyle over to something that works for you and will give you many additional healthy years. You may not have known but the federal government didn’t count any exercise you did unless it took more than 10 minutes to accomplish. Up until 2018, you had to exercise for 10 minutes for it to be official. But now it all counts. This was one of the major changes the US Health and Human Services, Physical Activity Guidelines updated last year. I’m sure very few people are aware of this major change, nor will it change the way we live our lives. But it is important as you consider getting more movement into your life. If you are part of the vast majority of Americans who do not get the government recommended amount of exercise, you might want to consider short bursts of intense exercise. If you are already a muscle head, you probably know about HIIT (high-intensity interval training). This type of training can have tremendous impact in your training and doesn’t require a great deal of your time. Unlike running and walking for hours, HIIT training workouts get done in 15-20 minutes and will help you lose weight, ward off aging by encouraging the body to create Human Growth Hormone naturally, as well as improving your speed and performance in any physical activity. But it requires you to push yourself to exhaustion in those 15-20 minutes. There have been no negatives found with this type of training and the list of positives only continues to grow. 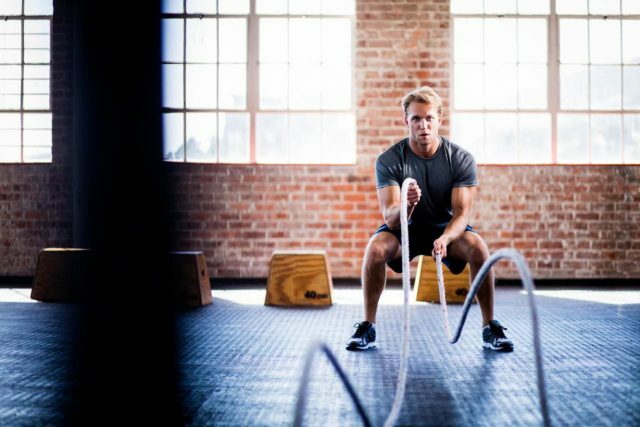 But what if there was a way for everyone to get some of the benefits of HIIT training and it was possible to incorporate it into your day in smaller bursts? Enter HIIPA – high-intensity incidental physical activity. An editorial in the British Journal of Sports Medicine brought up this idea in light of the new U.S. guidelines. What if we didn’t push ourselves to exhaustion but could get most of the benefits of HIIT training and we can build it into our daily lives? The editorial said HIIPA should be thought of as “exercise snacks.” Things like sprinting up the stairs a few times a day or making housework more intense by scrubbing harder or taking all the groceries from the car to the kitchen in one load. But the benefits may actually be as good as HIIT. Sporadic bursts could have major advantages to those who are less active, said the lead author Emmanuel Stamatakis, Ph.D. from the School of Public Health, University of Sydney. A HIIPA burst 3-4 times a day, three or four times a week can increase the measure of fitness by 5% in over six weeks. That’s just one minute per day. Now, the effects on a more seasoned athlete who is logging in their workouts might find little benefit, especially if you are already doing HIIT. But everything counts, so there is going to be some positive results. Doing things at a brisker pace may help if you have to cut down the number of structured workouts you need to do to get the same cardio results. Do you need a job for the next 60 days? Are you willing to lay around? NASA and the European Space Agency may have your dream job. Scientists are looking for the ultimate loafer. They want to hire people who are willing to stay in bed for 60 days. This is part of a research project to study the effect of weightlessness with bed rest. The scientists hope to develop methods to counteract the effect of weightlessness. Currently, astronauts have to spend vast parts of their days on the International Space Station exercising. While weightlessness may seem like a fun thing, it quickly damages a body. Because the space station is in a constant state of “free fall”, the gravitational pull of the earth has no effect on the astronauts, so as a result, they float everywhere. The feeling is like when you suddenly go downhill on a rollercoaster or airplane. Even a few weeks in weightlessness can seriously weaken the muscles. Just five days of weightlessness can reduce muscle mass by 20%. Key systems of the body start to relax when gravity isn’t pulling us down. Astronauts report they quickly lose their sense of up and down, and they can’t figure out where the floor or ceiling is. But long term, the effects of weightlessness can be catastrophic. 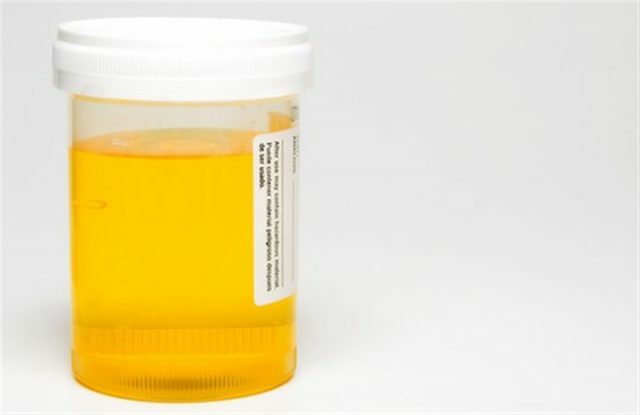 Calcium goes out of the bones via urine quickly. The bones weaken, and their bodies start to develop osteoporosis. They also quickly start to lose muscle mass which is why the astronauts need to exercise constantly, usually two hours a day. NASA has developed “weightlifting exercises” and cardio work to make it possible to come back to earth. Without cardio, the body has a tough time breathing when the effect of gravity returns. But even after all that work, it still takes months of rehabilitation for astronauts who spend six months aboard the space station. The effects are so profound, it even alters the vision and the structure of the eye. Some effects, though, are really unique. Bodily fluids start to get redistributed to the top of the body. That is why the faces of astronauts seem to be swollen. This change tends to affect vision and take away the sense of smell and taste. But the biggest effect is when they return to earth and find they cannot stand for more than ten minutes without passing out. This is because astronauts lose around 20% of their blood volume because the lack of gravity tends to reduce blood pressure. If you want to help future astronauts by being a couch potato for two months (and earn $18,500) be prepared to do everything in bed for 60 days, including going to the bathroom. The point of the experiment is hoping to learn more about the effect of rest on human physiology. But everything will be done lying down in bed: eating, showering, watching TV and playing video games. If chosen, all your meals will be designed to make sure you do not gain weight during the study, but the website does say that the meals will not be “extra-healthy.” And they promise occasional pancakes and sweets. The agency needs 24 participants now and will put out a call for 24 more in September. One other key skill is the ability to speak German. And according to The American Institute of Stress, 44% of Americans feel more stressed than they did 5 years ago. Yet Americans don’t seem to get the message, and we keep living a vicious cycle inviting more stress into our day. While we can’t stop sudden or unforeseen tragedies from occurring, we can stop doing these 4 things which only perpetuate the cycle of stress. We live in a society which prides itself on being productive. There are countless seminars marketed on how one can “manage their time” more efficiently and “learn to do it all”. So we take on more and more commitments and responsibilities, saying yes to everything because “they need us” only to find our schedules jam-packed with commitments we can’t get out of. The stress starts to kick in. From physical symptoms of gastric problems, to migraines, to emotional symptoms of anxiety and depression, overloading your schedule and not taking time for rest and relaxation is bound to have disastrous consequences. And here’s the real zinger – being stressed actually makes you less productive in the long run and can lead to burnout. We’ve all heard the phrase “I’ll sleep when I’m dead”. If someone tells you this – run the other way as this simple phrase is toxic. Not only does lack of sleep actually make you more irritable and anxious, but it actually decreases your ability to be sharp and alert during the daytime… meaning you won’t be able to think as clearly and process information. 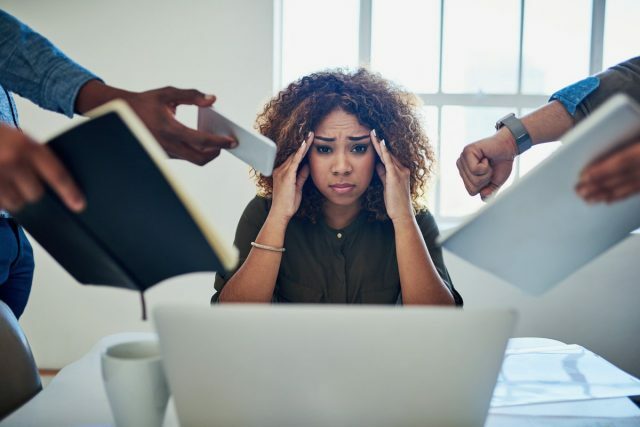 Forcing your body to work when you are tired is bound to make you even more stressed out, as you won’t even be able to put your best work forward, which will stress you out even more, and hence the vicious cycle endures. We get it though – maybe you actually want to sleep but struggle with insomnia. To start, try limiting caffeine to at least 6 hours before bed, and make it an effort to go to bed and wake up at the same time every day. Don’t skip the sleep. Not only can it weaken your immune system and make you sick, but lack of sleep will make you even more stressed out in the end. And if you do happen to wake up with a headache, try our natural headache remedies. You may love your job (and be good at it) – but being a workaholic will backfire in the end. Some workaholics simply suffer from reduced performance or productivity. However, others experience massive burnout and depression. “Other workaholics are immobilized by stress, and suffer debilitating anxiety. Panic attacks and claustrophobia are common as heart activity increases and breathing is disturbed. There are vasomotor and musculoskeletal disturbances such as trembling, increased sweating, or paralysis. Physiological responses may come from external stimuli and the demands of reality, or from internal pressure to push forward, to keep on performing, and seek gratification of blocked drives. Other signs of anxiety include excess stomach sensitivity, ulcers, abnormal blood pressure, heart trouble, nervousness, lack of vitality, and a total inability to relax. Workaholics often report a feeling of pressure in their chest, constricted breathing, dizziness, and light-headedness. Set boundaries when it comes to work such as shutting off your phone during certain after work hours, or making sure to take breaks throughout the day. Financial security matters and work is important, but they are not worth your life. 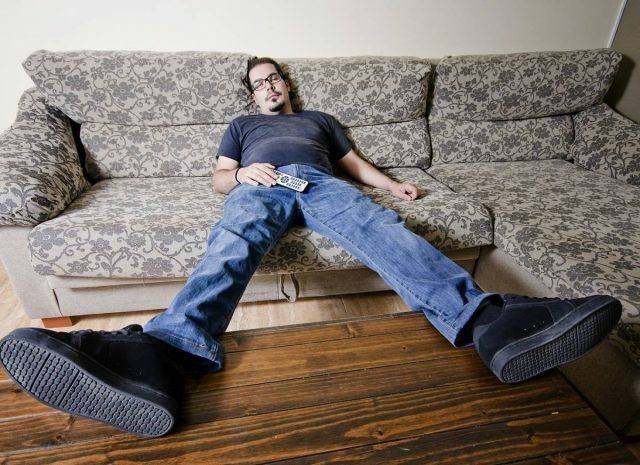 After a long day at the office, do you find yourself coming home and ordering takeout and retreating to your couch? Or binging on cookies and ice cream? But these “stress busters” actually end up causing more stress on the body, and they can actually kill you. And as Freedom Health News recently reported, binging on junk food wreaks havoc on your body and alters your cravings. Stress is not something to be worn as a “badge of honor”. Consider implementing these 4 tips to help beat stress and regain control of your life. To be truly healthy, it’s more than just lifting weights in the gym or drinking kale smoothies – true health is body, mind, and soul. So take care of your mind and reduce stress, and watch how much better you’ll feel physically! Do you personally experience high levels of stress in your life? What are some ways you reduce stress? Tell us your thoughts in the comments below and be sure to share this article with your friends and family to let them know how to stop doing these 4 things! The new law would impose a $1000 fine against anyone who puts the word “cauliflower” next to the word “rice” on packaging. Next, I guess owners of pine trees and the orchard industries will be going after pineapples because they are not grown on pine trees and they are not apples. Arkansas House Bill 1407 was passed by the House and Senate and was recently signed into law by Governor Asa Hutchinson. The so-called “truth in labeling” legislation was pushed by USA Rice as well as Rep. David Hillman, R-Almyra. Almost half the states have some type of “truth in labeling” laws on the books. Most of these laws are designed to make sure people know that products contain some sort of meat and its sources. Arkansas is the only state in the country trying to protect their citizens against deceptive cauliflower sellers. People on Keto, Paleo and Carnivore diets are always on the lookout for low carb ways of preparing their favorite foods. 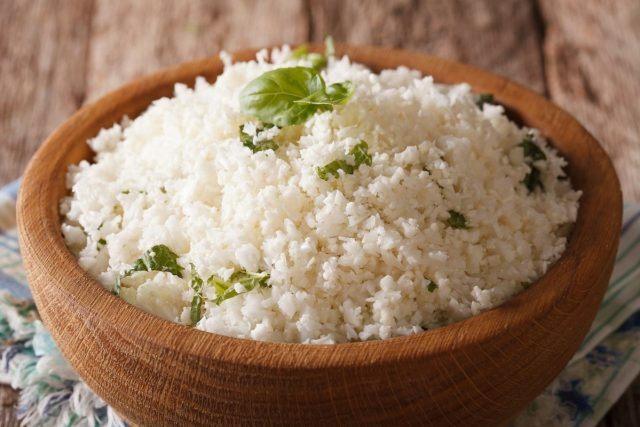 The cauliflower rice alternative was discovered by low carb dieters following the advent of the Atkins diet. Low-carb dieters have been innovative in coming up with unique alternatives for some of their favorite foods. They came up with the lettuce wrap for some sandwiches and hamburgers. The first use of cauliflower seems to be using it for a mashed potato substitute, but this apparently didn’t get the ire of Idaho. Low-carb advocates have been using cauliflower rice in their stir-fry over the last few years and manufactures have recently started producing it for them. Since it is relatively simple to make cauliflower rice, one wonders if this bill means there will be new spies in Arkansas kitchens. To make your own simply use a food grater or food processor to break the vegetable into small pieces, and then squeeze out the excess moisture with paper towels. After that just fry it with some olive oil and it’s ready to go or you can enjoy it raw. Why would you want to do this? A radical reduction in carbohydrates. Cauliflower has only 1/9 the carbs as rice with a similar taste. It’s also packed with vitamins C, K and B6, and folate. It remains unclear that the law will stand because it runs afoul of federal labeling laws and it violates the interstate commerce clause. But it is a ridiculous law that shows again the influence big agriculture can have over lawmakers. Frankincense is probably best known for being gifted to Jesus by wise men who traveled from afar to see him after his birth. For most people, frankincense is little more than a fixture in their religious culture. However, if people were smart, they’d start to incorporate it into their healing regime today, as multiple studies show frankincense (also called Boswellia) is one of the more powerful, natural healing agents on the planet. While inflammation is an essential aspect of a healthy immune response, inflammation that lasts for a long time, known as chronic inflammation, is often linked to a host of severe health problems. Frankincense has been shown to help regulate inflammation so it doesn’t have near the negative impact it could. Here’s a sample of what we’ve learned about frankincense and inflammation. Boswellia has chemical compounds which help inhibit the production of inflammation-producing cytokines (cytokine production that raises inflammation – interferon gamma, interleukin-4 and tumor necrosis factor-alpha). It helps boost immune function and ease inflammation by regulating how your body’s T-cells and white blood cells interact. It can help fight pain associated with inflammation in the joints by inhibiting a pro-inflammatory protein called Nf-Kb. Plus so much more! Here’s a link that has over 100 links to studies on Boswellia helping fight inflammation. Another thing frankincense can do is help to keep your immune system in tip-top shape so you can resist potential infections. Not long ago scientists from Mansoura University (which is in Egypt) finished a study supporting the claim that frankincense will help stimulate a healthy immune response. In addition to that, there’s evidence frankincense helps to prevent the proliferation of bacteria in the mouth. Frankincense has been shown to have clear antiseptic qualities which is why it’s believed to be helpful in preventing the spread of gingivitis, stops cavity growth, reduces the frequency of toothaches as well as preventing the development of ulcers in the mouth. 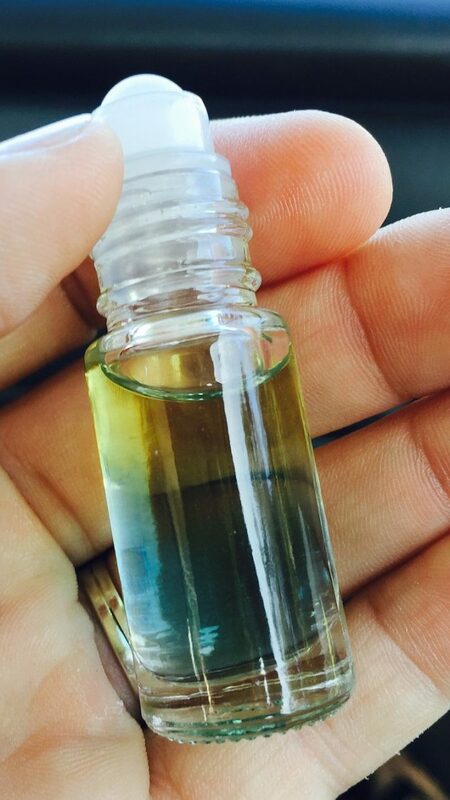 If you want healthy, clear skin, then frankincense essential oil applied topically may help. “Frankincense benefits include the ability to strengthen skin and improve its tone, elasticity, defense mechanisms against bacteria or blemishes, and appearance as someone ages. It may help tone and lift skin, reduce the appearance of scars and acne, and heals wounds. It may also be beneficial for fading of stretch marks, surgery scars or marks associated with pregnancy, and for healing dry or cracked skin. For nearly 20 years, doctors have said that taking a low dose of aspirin daily helps prevent heart attacks. But wait a minute—now the American College of Cardiology (ACC) and the American Heart Association (AHA) have reversed course. Both announced on March 18th that if you have no history of heart attack, stroke, or cardiac surgeries, then taking aspirin daily poses a high risk to the thinning of your blood—a danger worse than experiencing a heart attack. What is troubling is both these groups knew about this danger since October 2017. While they released their long-term study, they failed to publicly announce it until a year and a half later. The AHA cover story is that people within the last decade have been able to lower their risk of a heart attack in other ways. The biggest change in America’s heart health has been the remarkable drop in smoking since the Surgeon General’s warning on the dangers of cigarettes. Nearly 50% of all adults smoked in 1964, but it is down to less than 14% today. Add that to the advances in medicine that are able to pick up risk factors with heart health sooner, as well as improved treatments, fewer people are dying of heart disease. But what is of concern here is there may have been financial motives at work. 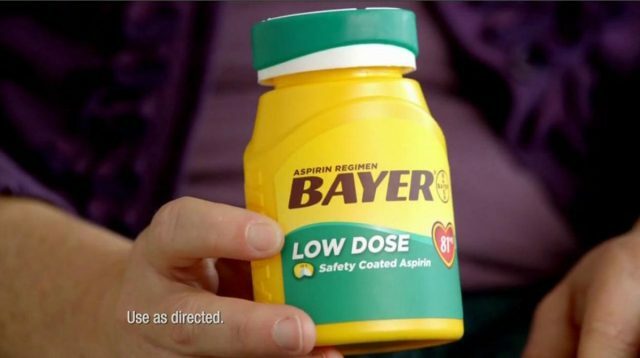 The American Heart Association gave its seal of approval only to Bayer, although the exact amount Bayer paid for it has not been made public. In fact, the American Heart Association has made major deals with other companies and industries as well. As far back as the 1960s, the sugar industry had begun paying various scientists to shift the focus on saturated fats, rather than sugar and insulin, as being the cause of cardiovascular disease. A researcher discovered these long lost documents in 2016, which were released in a blockbuster report in the Journal of the American Medical Association. Although researchers were studying America’s growing heart disease problem in the 1950s, most scientists were looking at Dr. Ancel Keys’ study, which suggested high cholesterol, mainly from meat and dairy, was the cause of heart disease. But because “Big Sugar” bought off the American Heart Association, Americans have been told to limit fats, not sugar. And now 50 years later, the widespread consumption of sugar has created an epidemic of obesity and type 2 diabetes. Some speculate that the AHA’s opposition to high-fat diets such as Atkins and keto likely stem from the deals they made with Big Sugar years ago. It calls into question the recommendations of health groups like the American Heart Association and the Food and Drug Administration that may be influenced financially by pharmaceutical and commercial food industries. For now, it’s best to assume that science is never settled. Inflammation is an immune system response which allows our bodies to heal and treat certain infections and injuries. But to those who suffer with chronic inflammation, a host of diseases can develop such as rheumatoid arthritis or lupus which can cause crippling effects on the body. The good news is, by making simple changes to what you eat and how you live your life, you can help decrease inflammation in the body – but you’ve got to know what to do. One of the most dangerous items in your kitchen isn’t the toxic cleaning chemicals under your sink – but the sugar-filled soft drinks and treats you have hidden in the pantry. Even so-called “healthy foods” like yogurt and juices are loaded with sugar. And by consuming a high-sugar diet, your blood sugar is constantly spiked which leads to chronic inflammation throughout your body causing devastating effects. “When your blood sugar rises, your body cranks out greater numbers of pro-inflammatory molecules called cytokines. In addition, high blood sugar levels cause your body to produce molecules called advanced glycation end products, or AGEs. These are destructive molecules that trigger inflammation. We know sugar tastes good. It’s a tough thing to beat but your body will thank you in the long run. And listen.. don’t be deceived. Food companies know how addicting sugar is to the body so they try and sneak in this ingredient by calling it by a different name. 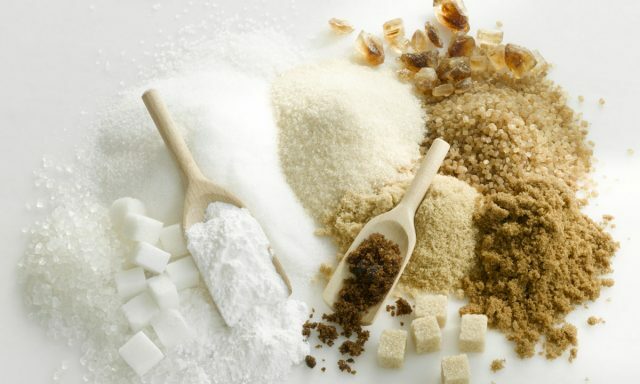 In fact, Sugar Science reports there are over 61 names for sugar such as sucrose, high-fructose corn syrup, rice syrup, and malt (just to name a few). Skip the sugar and load up on healthy foods like green leafy vegetables and protein and watch your inflammation decrease. And beware of so-called “healthy” sugar substitutes – as Freedom Health News previously reported – these can be just as dangerous. Don’t just stop with reducing your sugar intake – pay attention to your overall diet. No need to feel discouraged, the good news is there are many anti-inflammatory foods you can work into your diet that not only taste good, but are actually beneficial for the body. Some of the best anti-inflammatory foods include green leafy vegetables (think kale and spinach), tomatoes, salmon, nuts, and avocados. 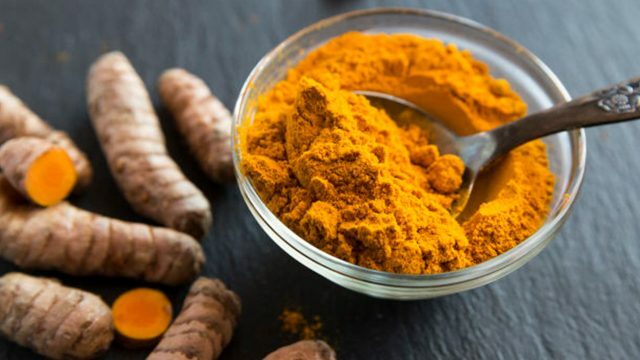 Don’t forget spices like turmeric and ginger which are known for their anti-inflammatory properties. According to Harvard Health, the key is to create an overall lifestyle change and healthy diet – and skip the processed foods. But remember, all food is not created equal. In addition, each body is different and can have different reactions to different foods. Don’t assume a “one-size fits all approach” to your diet. For example, tomatoes are a known anti-inflammatory giant and packed with tons of nutrients like Vitamin C and antioxidants like lycopene. Healthline even lists tomatoes as one of their “top 13 most anti-inflammatory foods” and claims “lycopene may be particularly beneficial for reducing pro-inflammatory compounds related to several types of cancer”. But remember to pay attention to your body – if you are allergic to tomatoes or have a reaction, clearly loading up on them will have the opposite effect. Your diet certainly plays a major role in fighting chronic inflammation, but so do lifestyle choices. If you’re pounding back large quantities of alcoholic drinks and smoking 2 packs a day – guess what – your body is not too pleased. And while you might not see the effects of poor lifestyle choices right away, they will eventually catch up with you. Cigarette addiction can be tough – but know every puff is not only putting you in danger of heart disease, but is leading to increased inflammation in your body. It can be hard to quit – so if you’re looking for help check out our previous tips here. Inflammation can cause chaos in the body if left untreated. And before you go for the bottle of pills, try fighting inflammation the natural way. Just a few minor changes to your diet and overall lifestyle changes can help keep your body’s immune system in check. Bonus Pro Tip: When you hear the words inflammation, think “heat”. So if you are feeling like your shoulder is inflamed – instead of reaching for the heating pad – try an ice pack. WebMD reports how cold is known to “numb and reduce inflammation”. Of course, simply using ice packs won’t cure chronic inflammation, but this known hack is a natural way to treat your symptom while you deal with the root! Do you struggle with inflammation in your body? What have you done to treat it before? Tell us your thoughts in the comments below and be sure to share this article with your friends and family to let them know these natural inflammation busters! 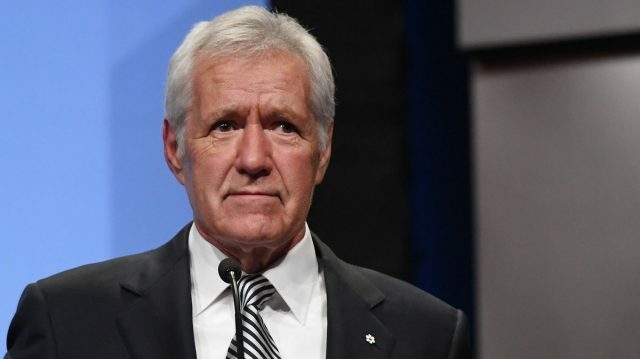 Alex Trebek announced to the world in early March that he has stage 4 pancreatic cancer. Unfortunately, the prognosis is not good for the 78-year-old game show host. This is a scary and aggressive cancer. According to the American Cancer Society, the five-year relative survival rate for stage 4, or “distant,” pancreatic cancer is 3%, based on those diagnosed between 2008 and 2014. What are the signs of pancreatic cancer? The most commonly occurring sign of pancreatic cancer is a pain in the abdomen. About 70 percent of pancreatic cancer patients experience this symptom at some level. When cancer affects the nerves and other organs near the pancreas, it causes discomfort, ranging from mild cramps to severe pain. You may notice that the pain is worse whenever you sit or lie down. In the early stages, the discomfort can come and go throughout the day. However, as the disease progresses, it becomes more constant and increases in severity. Pancreatic cancer patients often lose weight unexpectedly. You may also notice a change in your appetite and typical eating patterns. You may feel abnormally full, even after eating small amounts, which can lead you to eat less than you normally do. Pancreatic cancer can affect the ability of the pancreas to produce digestive enzymes that help to digest food, especially those that are high in fat. This means that your body can’t digest food properly and is not able to absorb all of the nutrients. Over time, this can result in significant weight loss. If you are having trouble maintaining a healthy weight, you should see your doctor right away, as this symptom likely signals a larger health issue. Jaundice is the medical term for yellowing of the skin and the whites of the eyes. It occurs in about half of pancreatic cancer cases. Other signs of jaundice can include dark urine, pale stools, and itchy skin. Jaundice is a direct result of a build-up of bilirubin, a by-product of red blood cells. Bilirubin usually is present in the bloodstreams of all healthy people, but growing cancer can block the bile ducts, causing it to build up to extreme levels. The condition does not cause any pain, but it can be indicative of pancreatic cancer or another disease. You should seek medical attention immediately if you notice signs of jaundice. Nausea and vomiting can occur throughout all stages of pancreatic cancer. A pancreatic tumor can block the bile duct or press on the duodenum, affecting digestion. It may also cause inflammation in the pancreas. Both of these effects can lead to chemical imbalances in the body, which can make you feel nauseous. Of course, nausea can accompany a wide range of illnesses, so it is essential to document any other symptoms you are experiencing along with it. Sometimes, the first clue that you have pancreatic cancer is the development of blood clots in large veins, typically in the leg. This is called deep vein thrombosis, or DVT. Symptoms can include pain, swelling, redness, and warmth in the affected area. Sometimes, a piece of the clot can break off and travel to the lungs, making it hard to breathe and possibly causing chest pain. Trebek holds the Guinness World Records title for the most game show episodes hosted by the same person and has won five Daytime Emmy Awards for best game-show host, according to the show’s official website. We do wish him well in this battle. Headaches are the absolute worst. I mean let’s face it – a bad headache can be crippling and ruin your entire day. However, most Americans simply reach for heavy over-the-counter pain pills or expensive prescription drugs to make the pain stop without actually figuring out why the headaches are occurring, to begin with. But by simply checking out a few common headache triggers, you may be able to end your headaches without a prescription. And if you do happen to have a headache spring up, we have a few natural recommendations to fight the pain. So before you reach for that bottle – check out our tips below. Back to the good ol’ fashioned advice your mother has told you for years – make sure you are drinking enough water. One of the most common causes of headaches is simply dehydration. “When the body is dehydrated, the brain can temporarily contract or shrink from fluid loss. This mechanism causes the brain to pull away from the skull, causing pain and resulting in a dehydration headache. And as Freedom Health News recently reported ( I don’t see this article link posted to the site yet –but please link the article I wrote last week: The Amazing Benefits Drinking The Right Amount Of Water Can Have On The Body), staying properly hydrated benefits the entire body. If you’re wondering how much water to drink, U.S. News recommends an easy-to-remember tip — – drink half of your body weight in ounces a day. Essential oils are all the rage these days and for a very good reason – they work. One of the best cures for headaches is to take a few drops of peppermint oil mixed with a carrier oil and place them on your temple. But as a word of caution – make sure to dilute the peppermint oil BEFORE applying it directly to your temple! Essential oils are incredibly powerful and applying peppermint oil directly to your skin can cause severe burning. There are many oils you can use to dilute essential oils like coconut, almond, or jojoba oil. Find out which one works best for you! And as Freedom Health News previously reported, peppermint oil is one of the top essential oils recommended by professionals. If you’re like most Americans – you carry a ton of stress. And whatever the cause of your stress – whether it be a tough boss or family problems, your body will carry that stress and cause all kinds of problems. Some folks carry the bulk of their stress in their upper trapezius muscles and neck – which then pull on everything else and can cause massive headaches. Others who suffer migraines have found relief from chiropractic adjustments. In fact, a case study by NIH revealed a woman who suffered with migraines for nearly 40 years may have responded favorably to chiropractic treatment with a specific technique called the “Gonstead” method. So consider adding regular massages and chiropractic care into your self-care routine. The two techniques really do go hand in hand. A good massage therapist can work out the tension, helping your muscles to relax while a good chiropractor can help align your neck and spine into the proper position. The combination of these two will improve your posture (and decrease your stress). If you’re looking for other ways to destress – check out our bonus tip here! Finally, ask yourself how well you are actually sleeping at night. If you struggle with insomnia or struggle to fall asleep at night, this often-overlooked detail can be a major source of your headaches. According to The Sleep Foundation, not getting enough sleep is listed as a “chief sleep complaint” of those who get constant headaches, and lack of sleep can even lead to anxiety and depression. Cut the screen time and try going to bed at the same time each night. And while we’re at it, having the proper pillow can do wonders for your neck. If you are sleeping with too many pillows which force your neck into an improper position, this will move your neck and spine into an unnatural position which can cause headaches. The same goes with having a pillow that’s too firm or mushy – Harvard Health recommends a memory foam pillow, which can contour to your neck and help properly align your spine. Splurge on a good memory foam pillow – it’s worth it. Don’t let a headache ruin your entire day. And remember – prevention is key. There are times where the pain may be so unbearable you need to take medication to ease the pain, but consider starting with the natural methods first. By sampling staying hydrated, getting enough sleep, using a good pillow and getting proper massage and chiropractic adjustments – you can help prevent a headache in the first place! And if you start to feel the headache come on – try the peppermint oil technique and see if that helps do the trick. Have you tried any of these natural headache busters before? 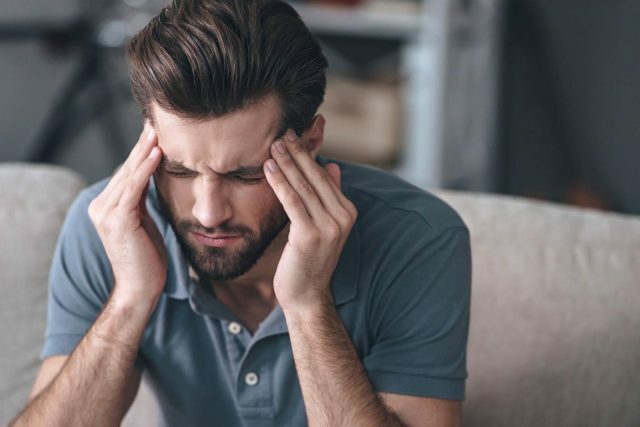 Tell us your thoughts in the comments below and be sure to share this article with your friends and family to let them know how to cure their headache the natural way!